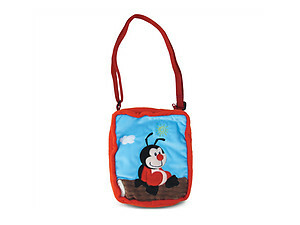 Kids Ladybug Stylish Plush Backpack. 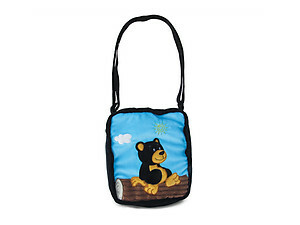 A super-cute plush backpack that your kid will fall in love. 21" Adjustable strap - so your child won't outgrow it too quickly. 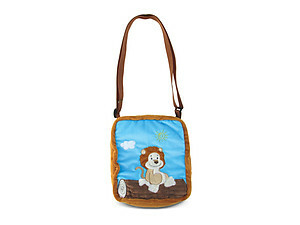 Flat-bottom design makes the zippered backpack large enough for phone, snacks and small toys. 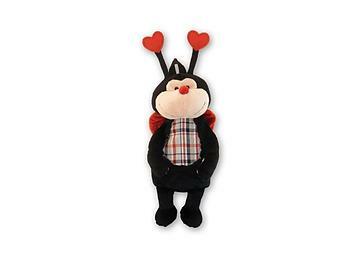 Measures 14" H x 6" W. Made from 100% Polyester - All new material. For age 3 or older.